As exercisers, many of us have specific goals related to our physique and, more specifically, to our body composition. One metric you may have heard of is body mass index (BMI). Let’s discuss what your BMI means and how you can track it. We’ll cover other measures of body composition in future posts. Body mass index is a simple measure that generally determines if your body weight is healthy relative to your height. It is easy to calculate – just do a quick internet search for a BMI calculator, plug in your height and weight, and voila! Your BMI score classifies you as underweight (BMI < 18.5), normal weight (BMI = 18.5 – 24.9), overweight (BMI = 25.0 – 29.9) or obese (BMI ≥ 30.0). These norms have been established by the National Institutes of Health and the World Health Organization. Body mass index is a popular measure because of its simplicity and because it has correlated to obesity and health risks in large-scale research studies. However, BMI does have some limitations when used on an individual basis. Ultimately, being “overfat” is associated with more health risks than being “overweight.” Body mass index may not be the best predictor of health in certain groups because it does not distinguish between fat and fat-free mass. For example, athletes with a lot of muscle mass may be classified as overweight using BMI, while older adults who may have lost much of their muscle mass and gained more fat mass may be considered normal. Additionally, BMI does not consider the distribution of fat in our body. It is important for us to note where we carry excess fat, as fat accumulation in the abdomen poses a greater health risk than fat distributed elsewhere. 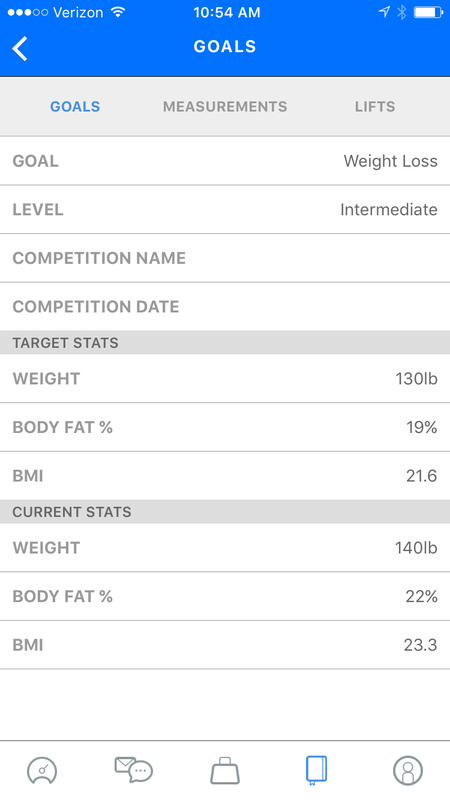 That said, we encourage you to use BMI with other data (like body fat % and circumference measurements) to get a well-rounded snapshot of your current body composition and progress over time. Lucky for us, all of this data is trackable with Solid Fit! 1. Open the Solid Fit app. 2. Tap the “Journal” icon from the menu at the bottom of your screen. 3. 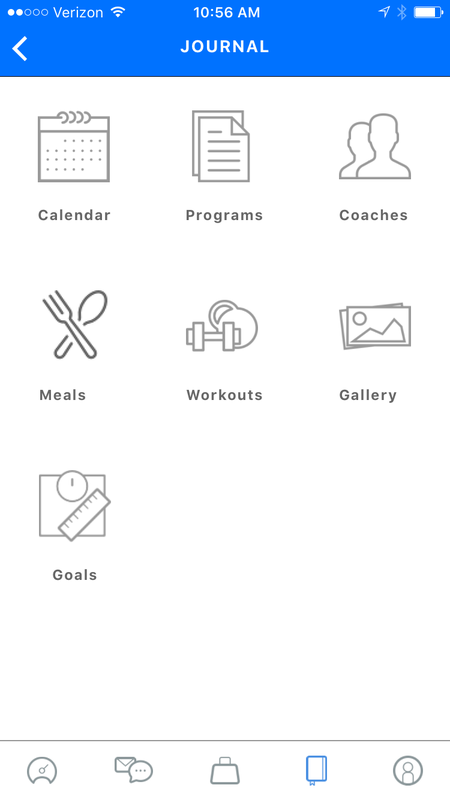 Tap the “Goals” icon. 4. 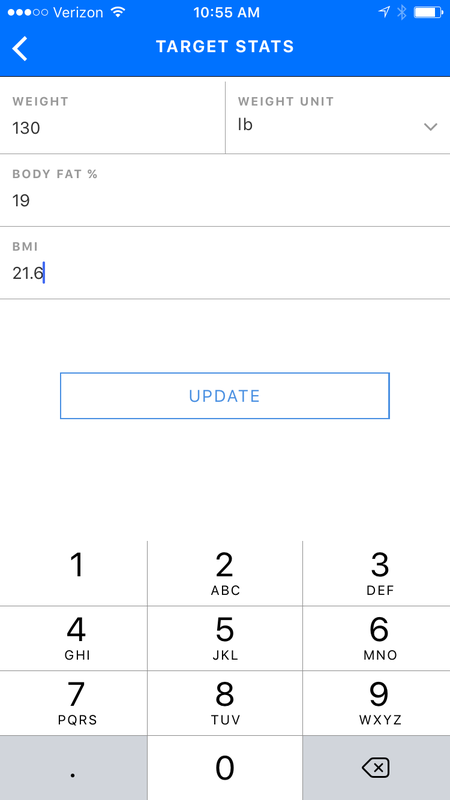 Tap the row titled “BMI” to enter your current BMI and target BMI. a. 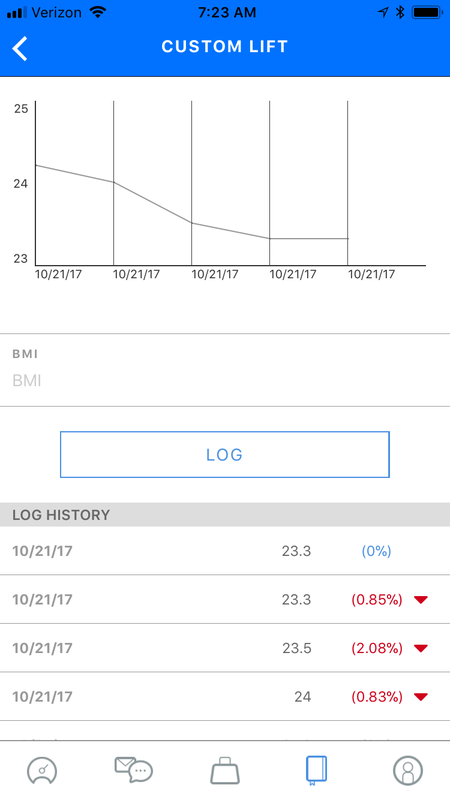 Note that when you enter your current BMI, you will see a “Log History” of your previous BMI values. 5. Click “Update” to save.